A beautiful wire wrapped bracelet featuring gorgeous Czech beads of different sizes and shapes! I’ve designed a piece that is a reminder of the end of summer with its colors of the drift wood and sand! 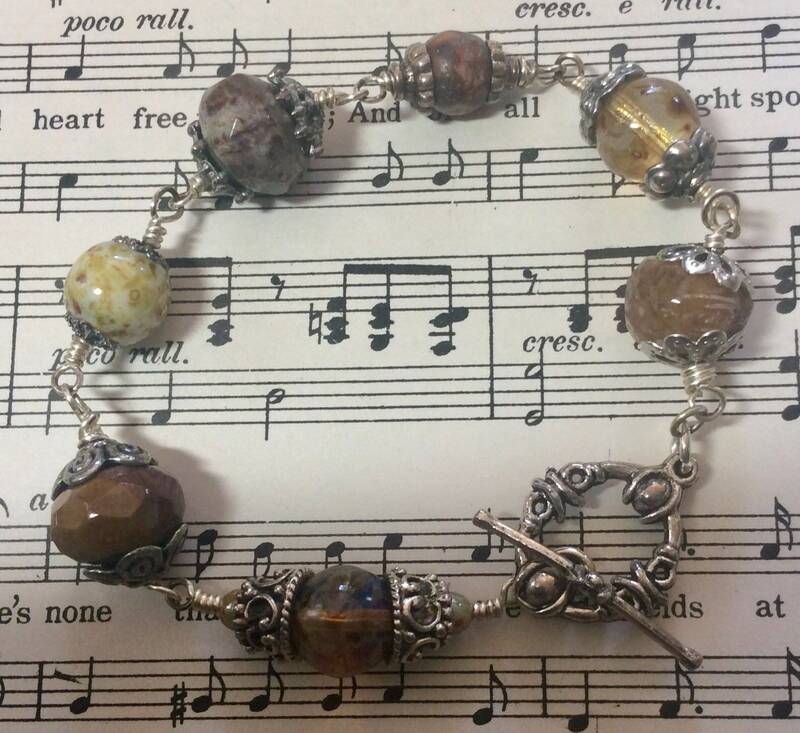 Ornate, oxidized pewter findings add so much interest to this OOAK unique bracelet. No one has this unusual item, and you’ll be noticed by everyone! If you’re the women who enjoys having pieces unlike any name brand mass produced item, this is for you! 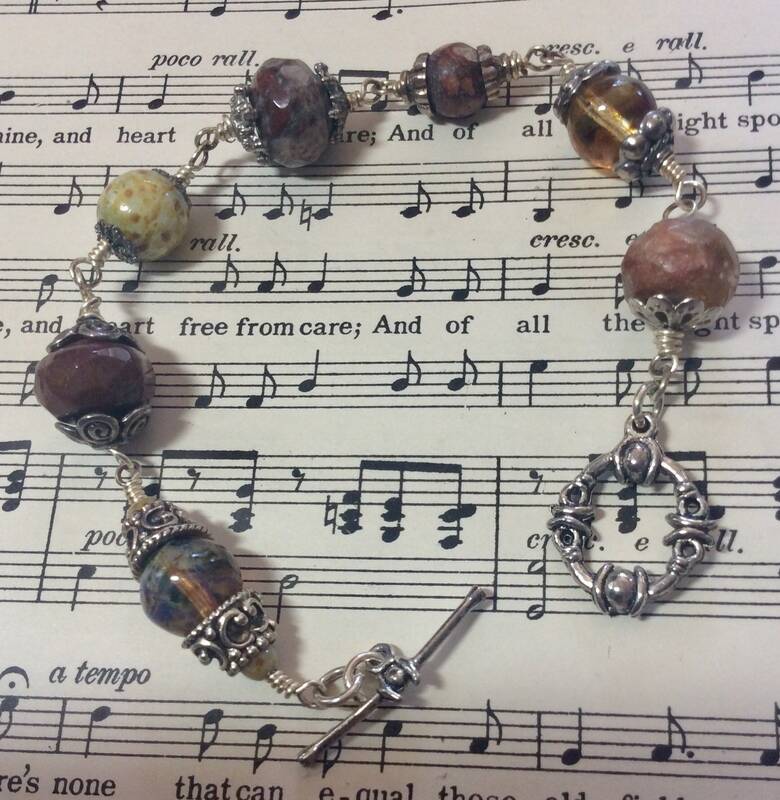 This bracelet has so many touches adding to its elegance...an ornate pewter toggle clasp, so many styles of bead caps, and tiny Czech beads enhancing the larger beads. Shipping is free as are any needed repairs. You’ll only need to pay postage for repairs. Your bracelet will arrive in a box suitable for gift giving. Convo me if you’d like it sent to another address! 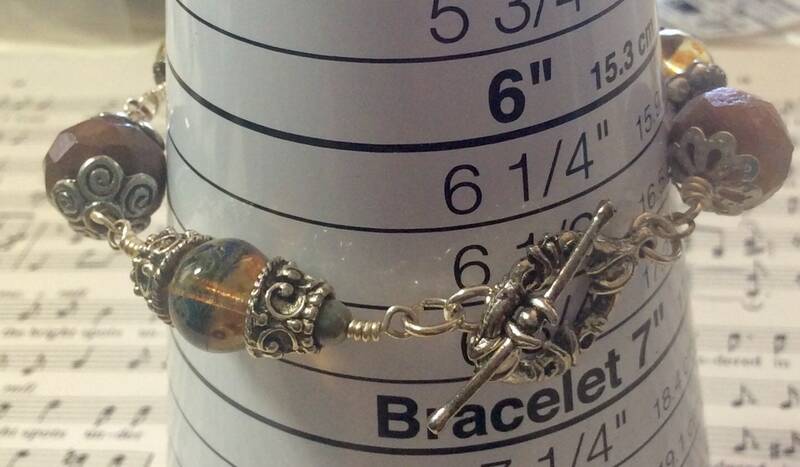 The last photo shows the bracelet on a mandrel showing its size on your wrist. When the bracelet is measured open and flat, the length is longer due to the size of the beads🙂.